When you want to borrow money for a new home, braces for junior, that fancy red garage queen or start that hip new coffee shop and you want flexible terms, great rates, and amazing service…you want ANECA! Whether for planned or unplanned expenses, if you need a little extra cash, come in and speak to one of our loan officers today or click the link below and Apply Today. In the SBC, we mean business. From start-ups to well-established companies, if you need a business loan, we are your partner. Call Trey Culverhouse, Mortgage Loan Officer at (318) 698-6310 or email him at TreyC@aneca.org, to see how we can save you money! You can use the equity in your home to improve your home! A Home Equity Line of Credit is easy to open and gets you the funds you need for repairs or remodels, or just about anything on your wish list. 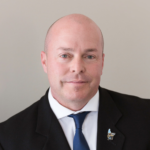 Call Trey Culverhouse, Mortgage Loan Originator at 318-698-6312 or email him at TreyC@aneca.org, to see how we can save you money! Get more mileage for your money with great-rate loans for new, used or refinanced vehicles, and special rates for First Time Car Buyers. ANECA’s online car buying service helps you find, drive and save on the car of your dreams. If you are interested in buying GAP, Extended Warranty, Auto Insurance, Credit Life or Credit Disability Insurance, check with ANECA to see how we can save you even more money! Get 3 Months of FREE Sirius XM subscription with eligible used auto loans. Ask for details. Whether your idea of fun is relaxing on the lake or taking to the open road, we can put you behind the wheel of whatever drives your dreams. 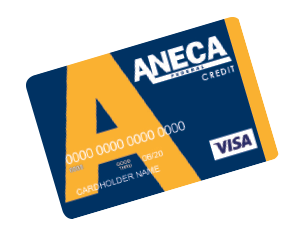 Save Money by Transferring Your Higher Balances to the ANECA VISA Credit Card! You could pay off your account balances faster and have money left over each month by moving your higher credit card rate and balances over to your ANECA Federal credit card. It will be hard to find a credit card that has a lower rate than the 6.99% APR*, along with the lower fees, reasonable grace period, and great Member service that is standard here at ANECA Federal! * APR = Annual Percentage Rate. Some restrictions apply. Membership & approved credit required. Limited time offer. The APR* for which you may qualify is based on your credit worthiness. Minimum monthly payment for all credit card types is 2% of the outstanding balance or $20, whichever is greater.